This is a British-made Mark V tank. 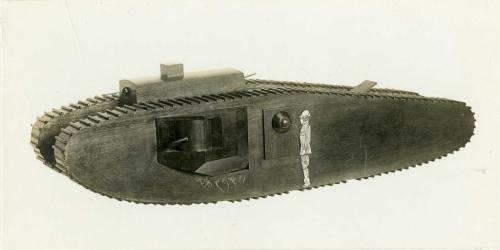 The Germans only produced 20 of their A7V-tanks. They also used captured British tanks.